The recently released book and movie Charlie Wilson's War revives some personal history. I received an email asking my thoughts on the events in the book and movie. I have not read the book, but will, then see the movie. 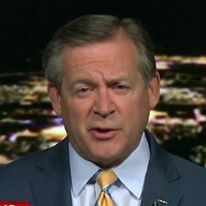 From 1987 until Saddam Husayn invaded Kuwait in 1990 and I was deployed to Saudi Arabia, I was assigned to the Defense Intelligence Agency at the Pentagon as the Assistant Defense Intelligence Officer for the Middle East and South Asia. When I was not in Baghdad working the operation assisting Iraqi forces, my office was peripherally involved in the Defense Department's slice of the CIA program supporting the Afghan mujahidin - "holy warriors" opposing the Soviet invasion of Afghanistan. That Defense Department support included the delivery of the FIM-92 Stinger shoulder-fired air defense missile. At some point in America's support - I think it was 1986 - Texas Congressman Charlie Wilson insisted that the "muj" needed an air defense weapon to combat the heavily armed Soviet MI-24 assault helicopter gunship, the Hind. He insisted that they get the U.S. Stinger. Charlie Wilson was a charming Southern gentleman. When I visited his office the first time, the launcher that fired the first Stinger in Afghanistan was hanging on the wall - he was extremely proud of that. He liked to talk about the Confederacy, in fact, much of the art in his office portrays battles of the Civil War. When my boss remarked about a depiction of Pickett's July 3, 1863 unsuccessful charge at Gettysburg, he quietly nodded his head and remarked, "If Pickett had been successful, we'd be having this conversation in Richmond...."
Back to the Stinger. 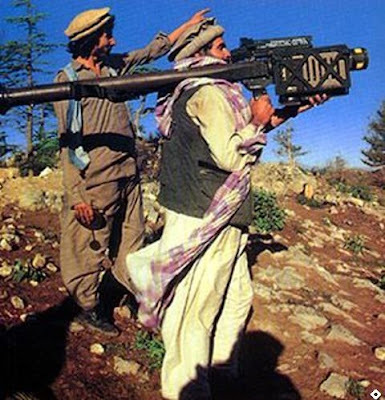 There was absolutely no interest at the Pentagon in supplying the world's most lethal shoulder-fired air defense system to a bunch of tribesmen in Afghanistan - for several reasons. First, we believed they could have achieved the same effect with lesser-capability Soviet weapons, such as the readily-available (and not traceable to the United States) SA-7. Second, and more importantly, no one wanted the Stinger in the hands of potential bad guys. Since we had to provide all of the weapons and equipment via the Pakistani intelligence service - the ISID - we were concerned that money talks and the Stinger would find itself where we did not want it to go. We were proven right in October 1987 when the U.S. Navy seized the Iran Ajr - while it was laying mines - in the Persian Gulf. Found on the Iranian Islamic Revolutionary Guard Corps vessel was a battery of a Stinger launcher. The serial number of the battery was traceable to the CIA Afghan Task Group - it had been sent to Pakistan destined for the muj. I am not sure where it was diverted, but I am betting on the ISID. We in the HUMINT (human intelligence) business used to joke that you had to recruit an "x" (the nationality of your choice), but you could buy a Pakistani - in south Asia, money talks. To make matters worse, during the operation, another Iranian boat fired two Stingers at a U.S. Navy A-6. We concluded that weapons we had sent to support anti-Soviet fighters in Afghanistan were being used against us in the Persian Gulf. This is euphemistically called "unintended consequences." When Wilson was in Pakistan on an official visit in 1986, he wanted to use the U.S. Defense Attaché's C-12 (actually the USAF's but leased to DIA for a dollar a year) to fly somewhere. Fine, but Wilson wanted to take his "girlfriend." The Defense Attaché, a USAF colonel, said, "Sir, you mean your assistant." Wilson - looking for a fight - insisted that the colonel was going to take his girlfriend along. The colonel refused; it caused us hours of grief trying to save the airplane once Wilson got back to Washington.